I was recently contacted by Delonna from Clothed In Love, an organization birthed of a "God Sized Dream" to love on the world's 150 million orphans. When Delonna explained to me her project to make the girls of Hekima Place feel loved by sending a care package of handmade bracelets, my answer was an unwavering yes! I was truly honored, not for her sharing of her dream, but also for the simple project of making these young girls in Kenya feel loved and appreciated. There are three beautiful bracelet types being sent over, and one of the types, for the littlest of the ladies at Hekima Place, is the "Fun Flare Bracelet." 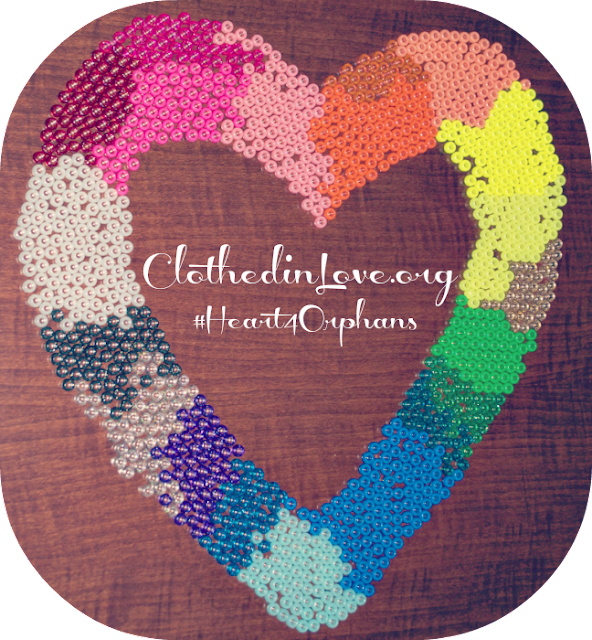 With Clothed in Love's goal of sending at least 200, three for each young girl, I knew I could contribute a reasonable amount. I also loved this project idea as a way to include Zion. As you know, I love being able to help Zion gain a compassionate understanding of the world around her - and see that she can make an impact even at her age! Our project took us a few days to complete. We gathered all of the supplies for the bracelets at Michaels, spending around $23 total. 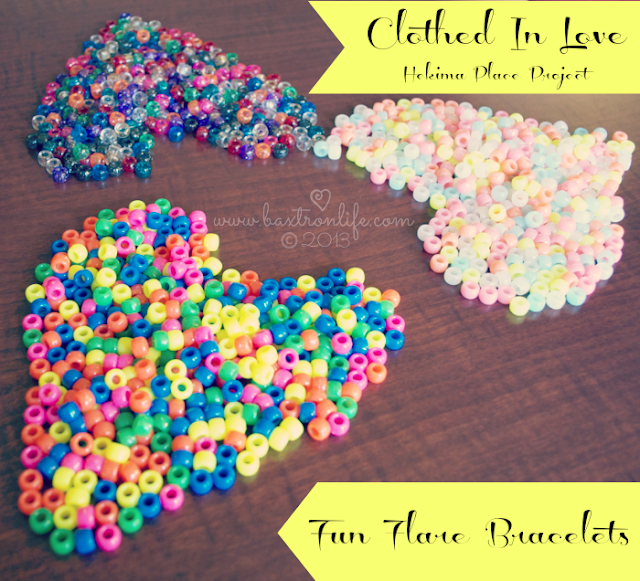 Two days of bracelet making and we were thrilled to have 38 completed bracelets to send over to Clothed in Love. One of the most beautiful parts of working on this project was seeing Zion demonstrate her understanding of why we were making them and who we were making them for. 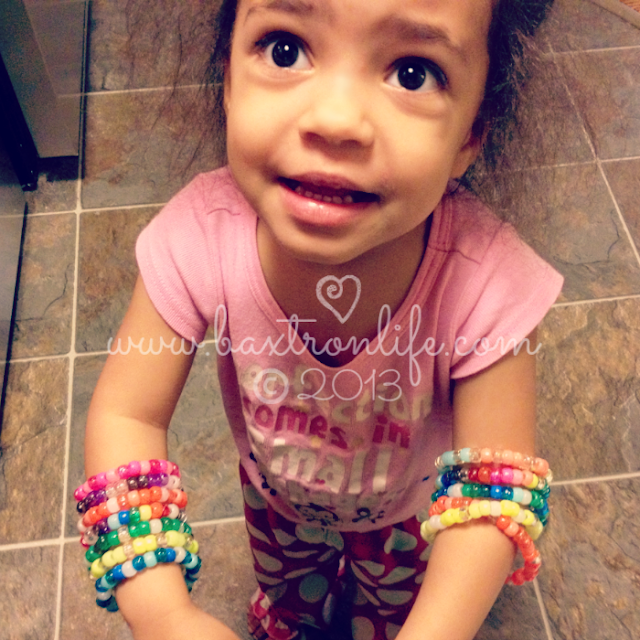 Zion also had a lot of fun modeling the completed bracelets. I let her make two bracelets to keep for herself to remind her to pray and think about the orphans at Hekima Place. There is still a little bit of time left if you are interested in making some of these beautiful bracelets. Contact Delonna for more information or other ways to help, as bracelets need to make it to her by 4/20/2013. Hekima Place is a home for girls primarily orphaned by HIV/Aids in Kenya. Hekima Place is home to 60 girls and young women, who receive quality education, healthcare and life skills while living there. They also have the opportunity to stay connected to their extended families, visiting with them frequently. There are multiple volunteer opportunities available for those interested in partnering with them. 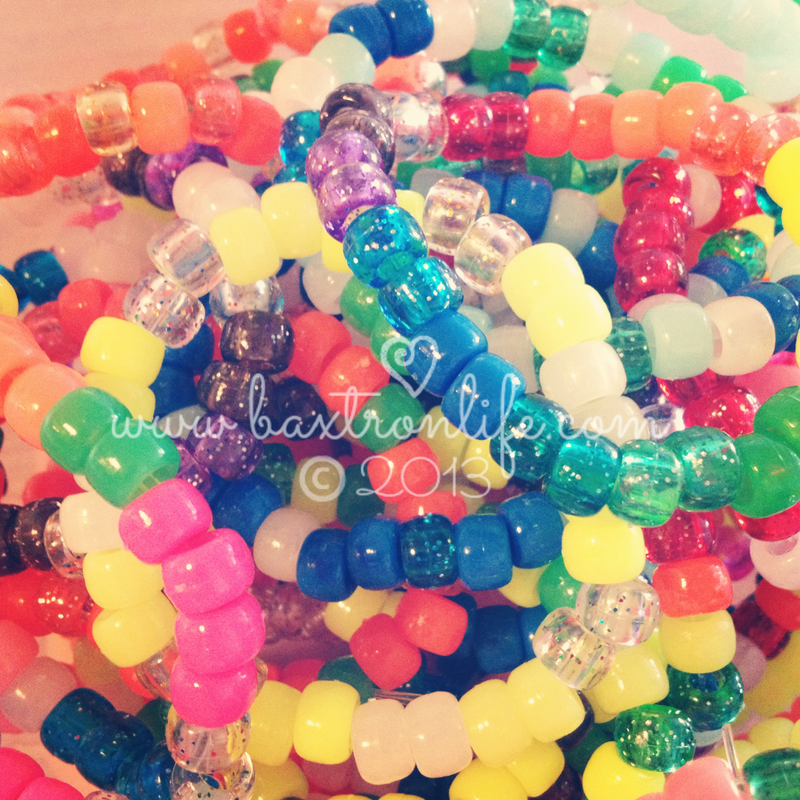 Delonna will be presenting the completed bracelets to Kate Fletcher at their upcoming benefit on 4/27/13. I'm so grateful for Clothed in Love and the purpose of looking after God's beautiful children in this world! Will you join me and Delonna in 10 Days of Prayer for Orphans, kicking off May 2nd? 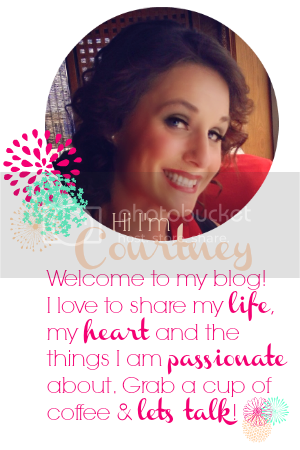 I am LOVING the photos and your heart to help us bless the girls at Hekima Place. Thank you SO much for spreading the word about Hekima Place and our upcoming event "10 Days of Prayer for Orphans". I can't say it enough but THANK YOU! THANK YOU! THANK YOU!